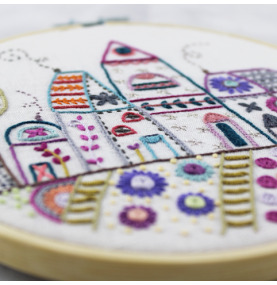 This sweet entry-level embroidery kit contains everything you need to complete the project. 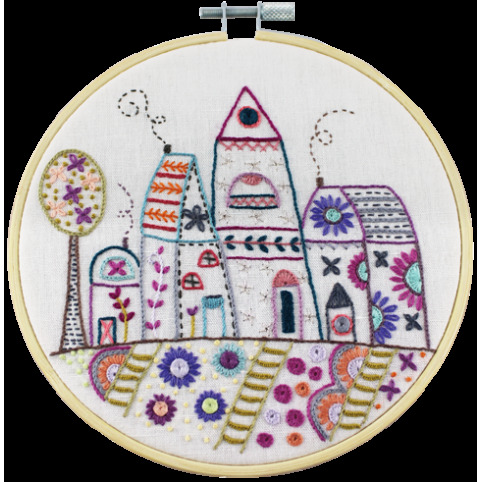 The wooden embroidery hoop is used for holding the fabric while stitching, and then is also used as the frame to display the finished work. We reserve the right to change supplies depending on availability. We reserve the right to modify or delete supplies depending on availability. Download the English translation of the data sheets in your order history. 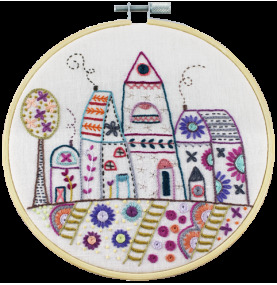 The fabric supports of the kits are in mixed or printed cotton. In all the kits you will find explanatory sheets with the diagrams of the points, the needle, the threads, the buttons and the accessories if necessary. For the kits signed by this picto "ALL INCLUSIVE", all the necessary is provided (except wadding and lining).